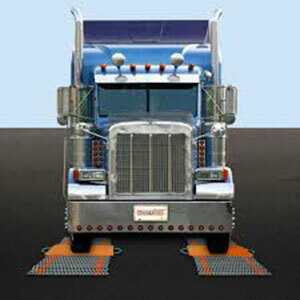 Collection of tried and tested Portable Truck Scales. Call our knowledgable staff if you have questions 800-693-3353. Phones available M-F 8-6 Central time. We offer Shipping Scales, CAS Digital Scales, Retail Scales and Counting Scales. Postal Scales, Mail Scales Postage rate calculating Scales, Shipping Scales. Tor-Rey Price computing Scales, Retail Scales, Legal for trade scales. Health-o-Meter Physician Scales, Home bath Scales, and Wheel chair scales. Heath-o-Meter scales are top of line and will last for years and years and are our choice for the medical scale industry. AMW Pocket Scales, CD Scales and Stealth Scales, DIGI Counting Scales & Chatillon Hanging Scales. Our Price Computing Retail scales rapidly and accurately provides single piece weight per pound and total amount to charge making it the perfect scale. Our Retail Scales and Price Computing Scales, include Mechanical and A/C & Battery operated for remote areas with out electricity and For the Farmers Market type of Retail Locations. We have a brand new cd scale that looks like a triple cd case, but is a 500gram scale and many other stealth scales accurate to .01 gram. We also have the Detecto, Mettler Toledo, and Seca line of products. Thanks for Stopping In. If You Have Any Questions? call 800-693-3353. We are here Monday thru Friday 9-5 Central. No answering machines or phone loops, live friendly people ready to help. All Our Products Are NEW, from New Stock! Most shipped the same or next day! Guaranteed 30 day lowest price, 110% of the difference, with valid offer. Our Crane Scales rapidly and accurately provide hanging weight up to 100,000 lbs. We also feature Counting scales, Hanging Dial Scales, include Mechanical & A/C & Battery operated for areas without electricity and for the Farmers Market Retail Locations. All the Digital Retail Scales are legal for trade scales, Except the Mechanical Hanging scales (available in class IV or class III). We Have a Retail scale with a cash register like feature that will accumulate price for several different items. 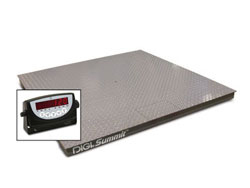 We offer a large selection of Price computing scales, retail scales, physician, and baby or infant scales. Heath o meter scales are a well known and will last for years and years and are our choice for the medical scale industry. We also have the CAS, Detecto, Mettler Toledo, Seca and AMW line of products. We also have a new scale that looks like a triple cd case, but is a 500gram scale. for a Counting Scale, count on Us. Starting July 1, 2016, the SOLAS (Safety of Life at Sea) Treaty will require all ISO containers to have a verifiable gross mass entered into the ships manifest prior to loading. This international treaty amendment comes in the wake of several at-sea disasters resulting from overweight and improperly balanced containers; impacting the loading of all containers at all ports world-wide, container shippers are ultimately responsible for verifying and providing the gross mass number. Our products can integrate into existing port handling equipment and management systems, providing minimum interruption to operations and seamless merging of data. Starting July 1, 2016, unverified containers cannot be legally loaded. Failure to comply will result in fines and penalties throughout the logistics chain as well as costly delays and interruptions. Dont let this happen to you. Contact us today and I will be happy to discuss options to ensure compliance with this new treaty amendment.